. استمتع بالخدمات الراقية والضيافة التي لا مثيل لها بهذا الفندق في برث. يمكن الاستمتاع بمجموعة من الخدمات على أعلى المستويات في الفندق كمثل واي فاي مجاني في جميع الغرف, خدمة التنظيف يوميًا, خدمة غسيل ذاتية, خدمة سيارات الأجرة, مجهز لذوي الإحتياجات الخاصة. بالإضافة لهذا,تتضمن كل غرف الضيوف مجموعة واسعة من وسائل الراحة . بعض الغرف توفر حتى تلفزيون بشاشة مسطحة, اتصال لاسلكي بشبكة الإنترنت (مجاني), حوض الاسترخاء, غرف لغير المدخنين, مكيف هواء لإرضاء أكثر الضيوف تطلباً. كما أن مجموعة الخدمات الواسعة الموجودة في الفندق لضمان راحتك تترك لك الكثير من الخيارات لقضاء وقتك أثناء فترة إقامتك. 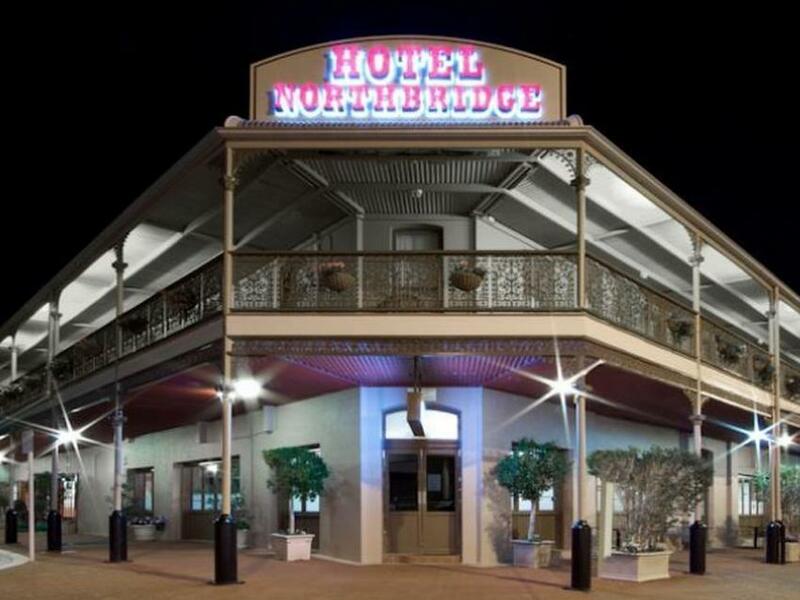 اكتشف مزيجاً ساحراً من الخدمة الاحترافية والخيارات الواسعة من وسائل الراحة والمتعة في Hotel Northbridge. Checkin went smoothly and the staff member checking us in was delightful. Room was good and we liked the layout. Amenities are a little dated but all was clean and comfortable. Carpark down on basement level is small but no problem if you know how to drive properly. King Bed was comfortable, and again the staff were great, especially when we were running late to check out due to a big night :) I'd stay here again. Their excellent staff is their biggest selling point. (Pranwyn & Co.) Within the 5 days im staying there I always been entertain by their Helpful, always greet and smile staff. Keep up your good work guys. Our arrival and departure was handled quickly and efficiently, no more than a few minutes. Reception organised a taxi quickly, for an outing that we had. Room was comfy and quiet. Would definitely stay here again. Booked a room with breakfast through Agoda and we were very happy with the hotel. Good staff, very clean with big rooms. The location is close to the city centre, but away far enough to think otherwise. We've stayed there a few times and always happy to keep going back. The hotel is in a quite location away from the nightclub noise, yet close enough to be in walking distance. 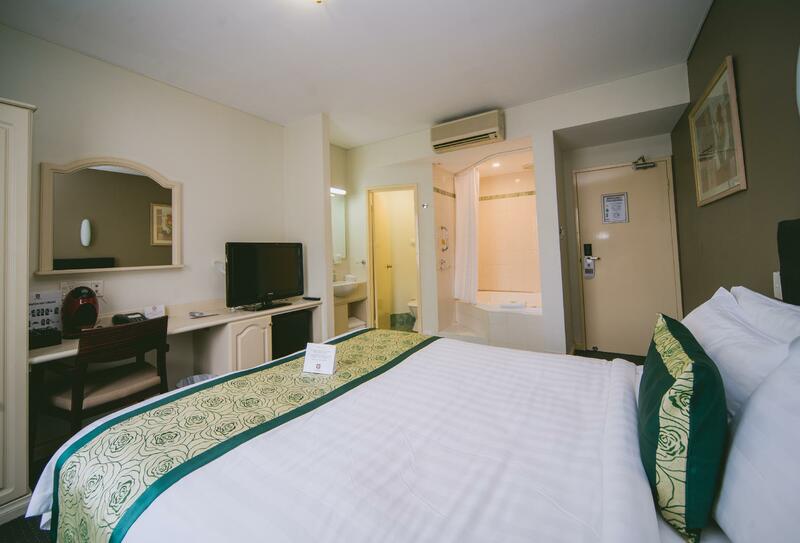 The rooms are clean, well presented and have all the modern amenities. The staff were very friendly and a pleasure to deal with and the bar staff were excellent. Overall this is a great hotel and I would recommend it to anyone and will stay here again and again. Enjoyed our Hotel experience . The room was neat and tidy best part was the spa . It was a warm day and so trying to cool the room down was a struggle . The air con looks tired and isn't cold at all . Breakfast was nice and staff at reception were nice and friendly . overall a good experience . Great location, walking distance to city, free buses, train. Excellent food, friendly staff. Nice big room, with spa. Vouchers for free drinks on arrival. We had the bed and breakfast package. However, on arrival we were given daily vouchers to the value of $15. Can't select food and beverage from the set menu for that price, unless you choose to have just tea and toast. When we questioned this, we were assured we could order anything from the menu. But, when checking out we were informed we owed $135 for breakfasts! However, after arguing that there was no mention of a $15 limit when we booked, the bill was waived. Bed was really comfy, but the sheets were not changed while we were there for 7 nights, Wet area was mouldy. However, after mentioning, the staff cleaned with bleach, which meant we couldn't go into our rooms for an hour due to the fumes. Not all mould was removed, though. Heard another guest complaining to receptionist about mould in their room, too. Great value & location (close to city, restaurants, etc.) and easy access to suburbs. 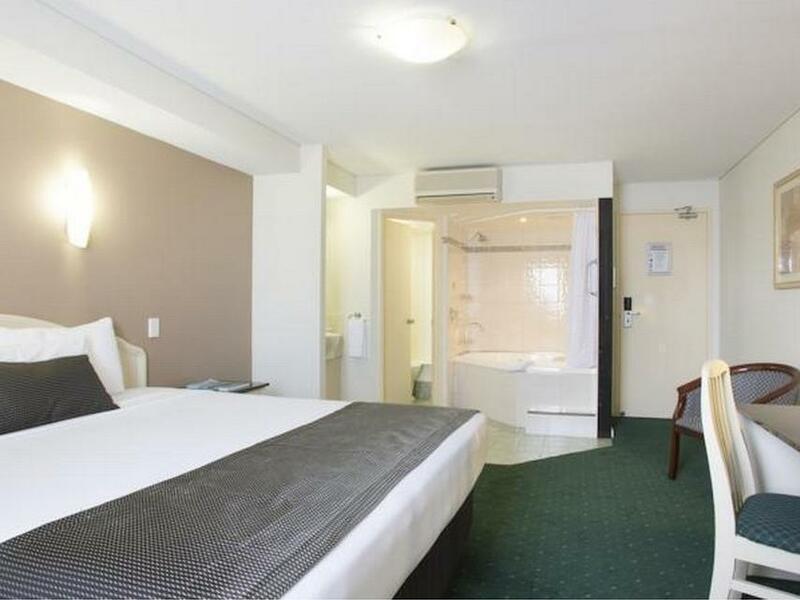 Great value when you have a night out in Northbridge to stay over. Quick walk from centre of Northbridge to hotel. Clean large rooms (not fancy but just fine and very comfy beds). Really appreciated undercover parking and free late checkout at 12pm. Will definitely be back. Stayed in a Queen Spa room. Unfortunately was a little awkward for me to get in and out of the spa. Bottom of the spa was very slippery and no hand rails. The shower was also over the spa. 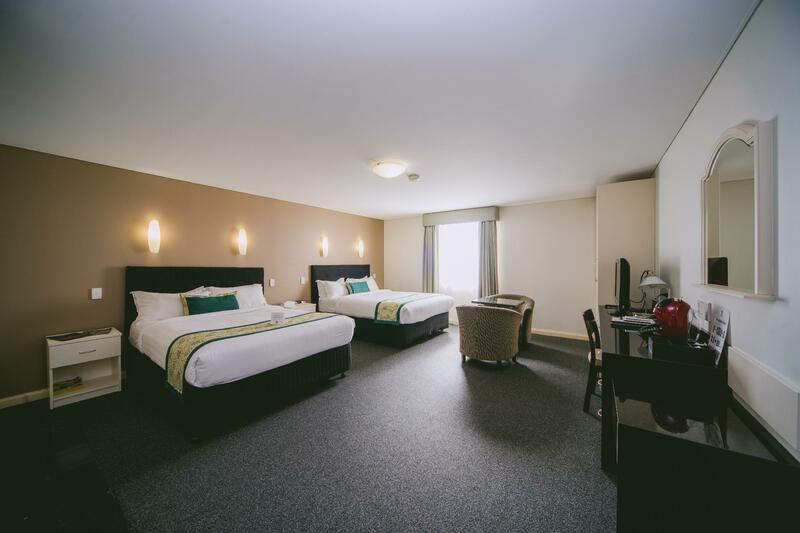 The room was very spacious and well appointed and the staff very friendly. Large rooms, slightly dated but for the price, it was clean and comfortable. Noise is a bit of an issue if the weekend traffic are returning at 3am but overall not a bad venue for the price. The Spa is its biggest value, its big and comfortable if you need to relax. Top two points, prompt helpful staff and the spa/room size. Negatives it is dated so it doesnt present like a 4 star but thats just a visual perception. Mini bar is free as is a certain amount of WiFi. Although an older hotel we enjoyed our time there,all of the staff from reception to the kitchen/ bar areas are fabulous.The room was comfortable and adequate.Very affordable happy hour and specials at the bar and dining room daily.Karoake on Friday night was great fun.An easy walk to a variety of restaurants and the city.We will certainly be back for a getaway weekend.